Remi, Gunner & A Lethal Masquerade are available for $2.99 and on Kindle Unlimited along with all the books in this series. After having rescued his mate from the clutches of a madman, Gunner thinks that the worst is behind him and Imogen. The surprise invitation from Victor Strong to attend a ball couldn't happen at a better moment. An added blessing, other bloodmated couples will be there as well. As they’re about to leave for a dream vacation, another attempt to steal Imogen from Gunner occurs, convincing him that jetting to an undisclosed location will guarantee his truelove’s safety. But they’ve barely arrived at the secret destination when battles rage around them with one clear motive: an enemy wants Imogen and they’ll stop at nothing to get her. 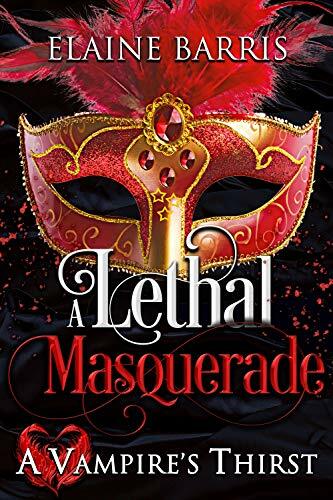 Please note, A Lethal Masquerade is a standalone title within A Vampire’s Thirst series.